GOKPOP | Exclusive K-News in Malaysia & Singapore: Oh!K Is Here to Cheer Up Your Lonely Hearts This Black Day! Oh!K Is Here to Cheer Up Your Lonely Hearts This Black Day! We all know 14 February is Valentine's Day and 14 March is a White day but do you know Korean celebrate 14 April as well? 14 April in Korea is celebrated as the Black Day which is a day specifically designed for single people in Korea. 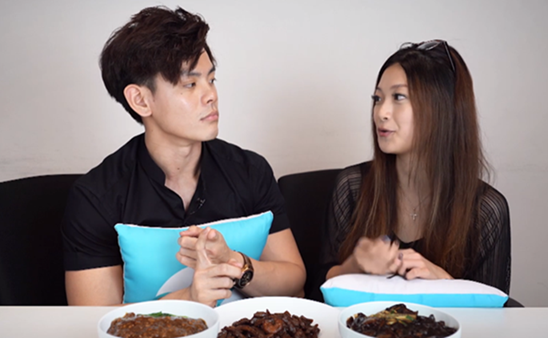 Those who did not receive presents on Valentine's Day or White day will gather and commiserate by dressing in black and eat the signature Jjajangmyeon (also known as black bean sauce noodles). What did Korean do during the Black Day? 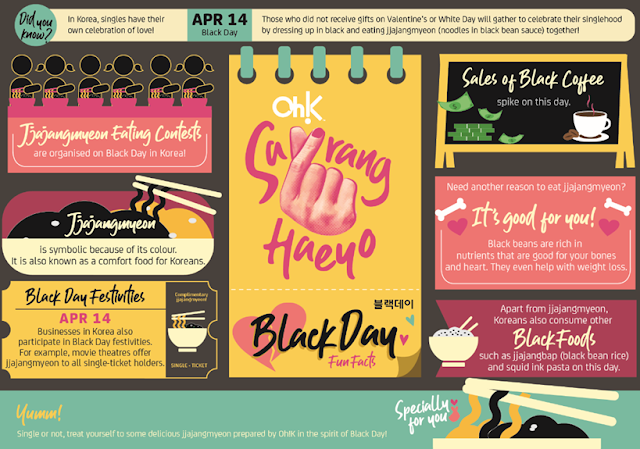 On Black Day, jjajang myeon-eating contests will be organised and many singles in Korea will be seen having jjajang-myeon in the restaurant, comforting themselves with a bowl of noodle. (ps: sounds so sad TT) Not only jjajang-myeon, black coffee sales in Korea also spike up on Black Day, which shows that any food symbolize the black colour will be consumed during that day. Singles also dress up in black as a way to embrace their singlehood. Calling all the singles out there – let’s gather and celebrate singlehood on Black Day as Oh!K are here to cheer up our lonely hearts with special videos curated on this special day!